Having a 12 year old middle school daughter, I am subjected to the current fashion trends and fads. Last month - Aeropostale and Abercrombie and Fitch. This month - skinny jeans, Converse sneakers and Ugg boots. Fortunately, Erica possesses some "common sense frugality" when it comes to expensive name brand items. I think that stems from my insistence that she pony up the funds to buy some of these "must have" items. 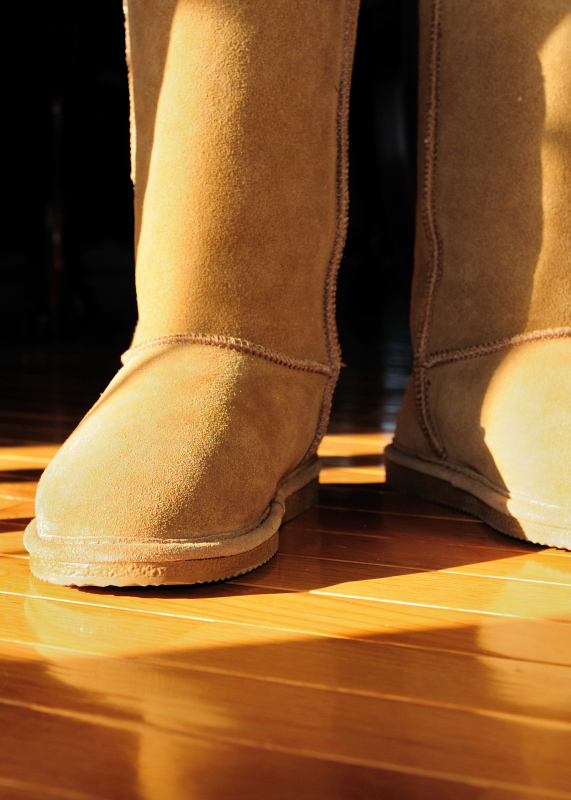 So, when she realized Uggs cost upwards of $120-$200, she was OK with buying a copy cat version for half price. And we bought them on the warmest day of the Fall season - 70 degF out there today! But it never hurts to plan ahead.